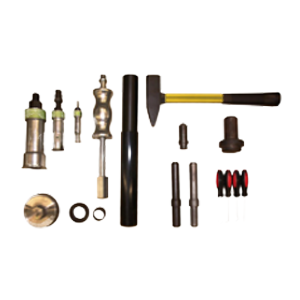 Doofor hydraulic rock drills have low pressure and high pressure accumulators. The accumulators’ pressure should be checked at frequent intervals. Doofor offers a gas filling device suitable for easy and safe recharging of the accumulators. 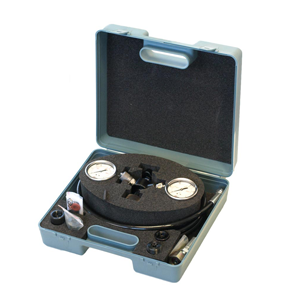 The gas filling device has two gauges, one for high pressure accumulator and one for low pressure accumulator. The hose is 2.5 meters long. Please refer to user manual for accumulator safety. Doofor rock drills are easy to maintain. To ensure speedy and safe maintenance, we offer a ready-made tool kit with special tools to maintain the Doofor rock drill. We offer carriage plates and steel retainers for Doofor rock drills. 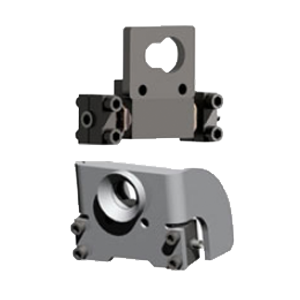 Steel retainers are hydraulic, pneumatic or mechanical devices, that are used with the hexagonal chuck models. 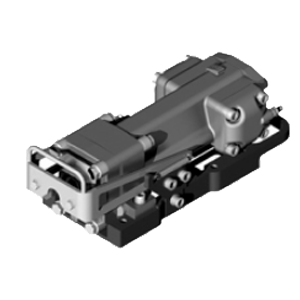 Maintenance is of paramount importance in a cost effective use of a hydraulic drifter. Wrong or low quality components and incorrect maintenance or repair procedures may cause a lot of harm and loss of time. We offer spare part kits for, for instance, 500 hours and 1000 hours service intervals as ready-made-packages.